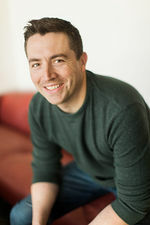 Nick Bruno is an American Film Director and Animator at Blue Sky Studios, who in 2019 will make his Directorial debut with the animated Spies in Disguise. Bruno was born and raised in Mohegan Lake, NY, USA, where, at an early age, he learned he could combine his love for drawing and filmmaking by pursuing a career in animation. He studied illustration and the fine arts at UMass Dartmouth, and went on to receive his Masters at NYU studying computer animation. In 2005, Bruno joined Blue Sky Studios as a Junior Animator on the feature film Ice Age: The Meltdown. Additional animation credits include work on Dr. Seuss’ Horton Hears a Who, Ice Age Dawn of the Dinosaurs, Rio, Ice Age: Continental Drift, Epic, Rio 2, and Ice Age: Collision Course, as well as two short films: Surviving Sid and the Oscar® nominated, No Time for Nuts. In addition to animating, Nick has developed films at 20th Century Fox and has co-written a live-action family film being produced by Smart Entertainment (Ted, Blades of Glory, Anger Management). Bruno resides in his hometown, with his wife Allison and their three children.